You turn it on and run it across your carpet and the job’s done, right? Nope. 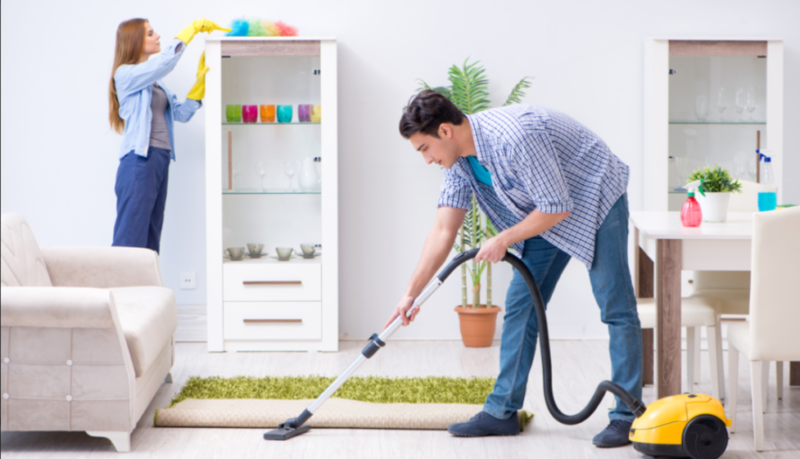 Your floors are really, really dirty and using a vacuum cleaner properly is essential to keeping them as clean, and healthy, as possible. All bad jokes aside, you need to take the vacuum cleaning process seriously to assure the best results. It’s not hard, but it’s important to do it right nonetheless. When you mow your lawn you follow a path and usually do so each time you’re out there. There are arguments on both sides of the proverbial fence that either say it doesn’t matter, or it matters a lot to the health of the grass. I’m on the side that “doesn’t care” because I have allergies and don’t cut grass. Vacuuming your carpets is another thing. Dirt and debris is small and can sink to the bottom of the carpet piles. 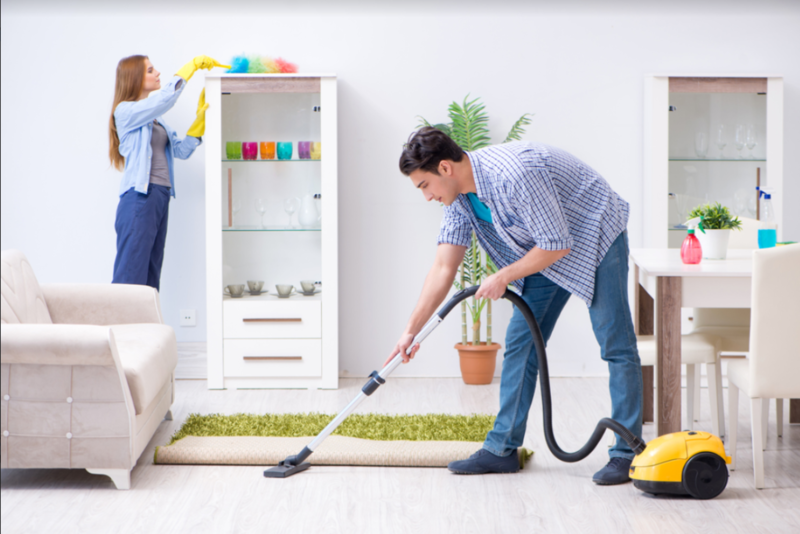 Running your vacuum cleaner in one direction or on one path all the time just helps embed the that dirt and debris further into your floors. Vacuum in cross sections and always go back over what you just cleaned from a different direction. Each week you vacuum, start at a different spot as well. Your carpet will last longer, stay fresher and be easier to maintain if you don’t listen to “One Direction…” … I mean vacuum in several directions each time. Are You a Half Empty or Half Full Person? I remember being younger and more immature (emphasis on more) and being aggravated by all the older people who thought they knew more than I did. Ahem. It turns out it is better for your car to fill you gas tank up when the meter is at ¼ full. It turns out you really can run out of gas faster than you think. Vacuum cleaner bags need air to flow through them to work at maximum efficacy. Waiting until they are bursting full is a bad idea. Sure, it means you have to buy more bags, but that’s better than having to buy a new vacuum cleaner when the motor burns out from being overworked. Check your bags regularly and empty/replace them at ¾ full, max. Get the full picture about vacuum cleaners by reading reviews. The other day a friend of mine asked me to look at her vacuum cleaner to see why it wasn’t picking up debris anymore. One look inside and I knew what had to be done. I put on my Hazmat suit and went to work. Filters need to be cleaned. And I don’t mean just to shake them off outside once in awhile. If they are not regularly and properly maintenance they will not do their jobs. Worse yet they will cause your vacuum cleaner to overwork, overheat, break down and spit dirt back into your rooms. Wear a dust mask (seriously) and shake or tap off as much loose dust and dirt from your filter as you can. Next, use a plastic spoon or knife and pry out all the gunk that’s stuck in the crevices of your filter. Use high water pressure and spray your filter with hot water repeatedly. You can also spray it with white vinegar mixed with water and an essential oil of your choice (Lavender is nice in vacuum cleaners) before and after hosing it down. Please: you must let the filter dry out thoroughly before re-installing it in your machine. Give it at least 24 hours and use a blow dryer on gentle heat is you must to be sure. In the esoteric world not binge attached to anything is a widely taught lesson. The concept of impermanence is a focal point. In the tangible world occupied by vacuum cleaners, you need to be attached to your attachments. The crevice tool is great for corners and between cushions. The brush tool is good for blinds and around box springs. The upholstery tool is good for, well…upholstery. You don’t really need to buy the .net or .mirror or .club domain for your mememe.com website. It’s fun, though, so no judgment. You also don’t need that extra warranty plan on your new purchase. But you do need to take advantage to the attachments that come with your vacuum cleaner to do the best job you can on your home. Pet owners know what this is about. But chances are, all of you do. Hair, string and other long, dangly things get wrapped around your roller brush and jam up you vacuum cleaner. Don’t pull on them. Get a scissors and snip them until they come free easily. Retractable cords are great. But don’t let them just zip back in place unguided. It’s bad for the machine and worse, can cause injury. Hold on to them and guide them back in, slowly. What Do You Mean You Didn’t Bring The Map? It’s a road trip with a specific destination. You plan out a route so you get there the safest, fastest or most scenic. GPS’s have replaced most maps and are programmed to guide you around construction delays and accidents. You have to be the GPS for your vacuum cleaner. Clutter on the floor is annoying and time- consuming when you’re all set to start cleaning. Always pick things up off the floor and move furniture appropriately before you start vacuum cleaning. The summer is the only time of year when you and your children can spend lots of time together, so why not make the most of it? One day, they will be grown up and will have their own lives to tend to. 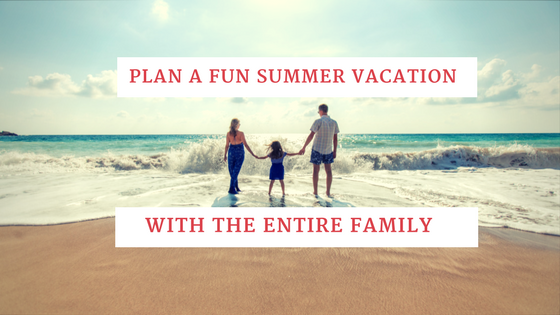 If you want to make the most of your summer this year and for all future years, then you need to plan ahead and ensure everything is budget friendly. There are plenty of things you can do without breaking the bank. 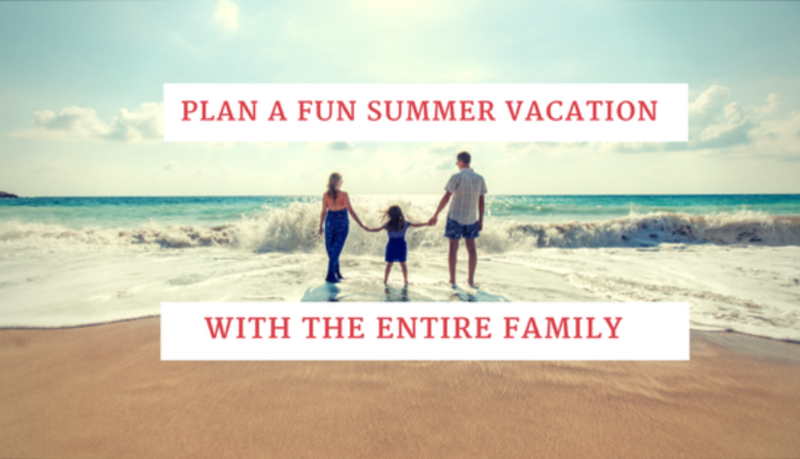 Here are a few tips for putting together memorable summers with your children. It doesn’t matter where you live in the United States, you can find a place to camp out. The internet is a great resource for finding forest areas where citizens can camp out in tints and even RVs. Shop around for sleeping bags and durable tints for you and your family to enjoy a night under the stars. Make note of areas that have dangerous wildlife like coyotes, bears and wolves. A lot of people ignore local attractions in their area, either because they’ve been to them multiple times or they simply overlook them. If there are places in your town that your children haven’t gone to, then consider taking them this summer. Some places you may want to check out include museums, theaters, parks and recreational facilities. The great thing about local attractions is you don’t have to pay much for gas and there’s no need for a hotel. Some spots may even offer discounts for residents. Water fun is a must during the summertime. If you live along the coast, you can drive out to the beach, and if you don’t, you may be able to find a lake or river that’s safe to swim in. A picnic by the water sets a nice scene for family time. Just make sure to check the weather in advance, so you don’t end up dealing with rain, extreme heat or other hazardous conditions. It’s a good idea to bring umbrellas to help shield you from the sun. You don’t have to go further than your backyard to have fun with your children. You can go to Toys R Us and pick up Nerf guns, water guns, sports gear and other outdoor toys everyone can enjoy. Get everyone’s input to see what type of toys and activities they would find engaging. If you don’t have yard space, you can opt for indoor toys, like board games, video games and other fun gadgets. If you have the funds, you can really shake things up and take everyone to a far away place. Get a passport for everyone and enjoy a trip to Italy, Japan or somewhere local like Canada and Mexico. Taking your children to different countries to see the various cultures and languages can be stimulating. Being a parent is a full-time job and I agree that mothers are considered as one of our modern-day superheroes. Aside from being the pillar that holds the peace and tranquility of any household, mothers are God-given gifts that nurture us from the time they carry us in their womb up until we age. So here is my list of why I think moms are simply the best. Being a mother is a tough job, it takes a lot of strength and determination to raise kids. I have seen my mom a few times multitasking from one daughter to another, from the time she wakes up until she got home from work. Moms have a talent to juggle one task to another from cooking, cleaning, working, and attending awards and school events. Moms always make sure that by the end of the day all tasks have been fulfilled. I am quite guilty of always asking my mom where I placed my belongings. Mothers have great organizational skills that they usually know where anything and everything is, and when chaos ensues they can calmly tell you where it is. Being a mom is a 24/7 job from changing diapers, not being able to complete 8 hours of sleep, feeding, and having the kids get ready for bed or school. 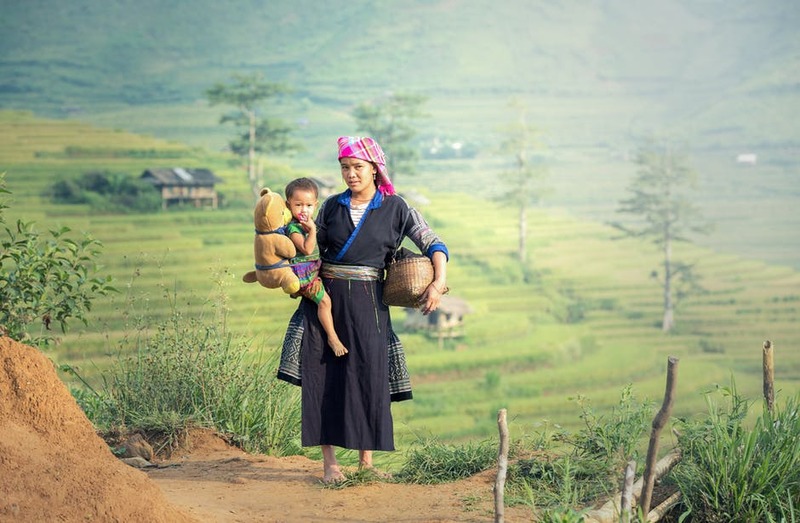 Moms are amazing as they still guided us and remained calm, starting from our toddler and school years when the exploration and a lot of questions started, to dealing with the change of our attitude and preference during our pubescent stages. Remember your first step, your first bike ride, or the time you asked to go for a trip to another city? Mothers, regardless of how old you are, will always have your back no matter what. Every step of the way, you are equipped with their guidance and values. No matter where I go or how much food I consume through my food adventures, I always go home to my mother’s homemade dishes. My dad and I used to visit my grandmother in another city and every time we do that, she always prepares my dad’s favorite dish or food. Wherever we are or how much we have outgrown our favorite dish, a hearty meal from our mom will always bring out our inner child. Failed a test or was rejected in your job application? One of the people that I run to whenever I felt that I have failed on doing something is my mom. My mom has been a source of my inspiration and keeps me level-headed in times I doubt myself. Mothers have a way of helping us get back on our feet and use our failures as stepping stones. In this modern day period, I can attest that both parents are already working to help out the family. Mothers are very generous as they work hard and give us what we need. They don’t spoil us with what we want but instead teach and inspire us that hard work can provide us with what we need. I consider my mom as my best friend. She was the one who taught me the meaning of friendship, sharing, and caring. She listens with empathy and no judgment. She only gives me honest answers. She doesn’t spoil me with pretenses and yet she showers me with the truth that I needed to hear. Mothers love us immeasurably and constantly. She is a person who would forgive, sacrifice her life, and stand by your side without asking anything in return. My mom taught me a lot like getting back on my feet when my dad died. It was hard for me to accept that my dad was gone.After his death, I made sure that I was strong enough to take care of my mom. My mom has scoliosis and would often complain of severe back pain. It is hard when you see the woman who cradled you in her arms when you were little and dedicated her life to you, would get sick. That is why when I saw Unilab’s new video, I could quickly relate that it is quite chaotic when mom is sick. Good thing mothers know best with only trusting products under Unilab to maintain and promote our health.